While teams like the Lakers, Suns, and Sixers are hyped up for the NBA Draft Lottery and their shot at the No. 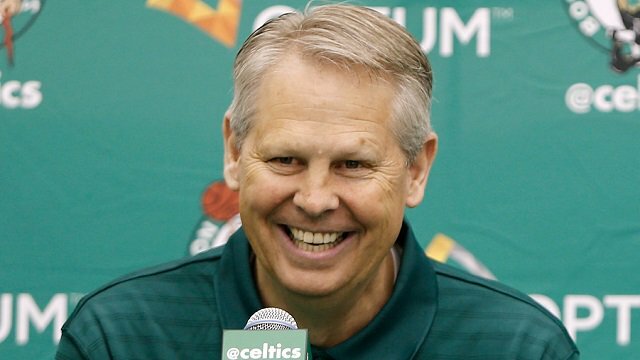 1 overall pick in June, the Boston Celtics have more important things to be excited about. Thanks to the Brooklyn Nets, Boston has the best odds of landing the number one pick in the NBA Draft Lottery tonight. Typically, this would be the top headline for a franchise. However, the Celtics are coming off a big Game 7 win over the Wizards to extend their season and appear in the Conference Finals for the first time since 2012. The lottery is extremely important for the future, yet it has seemed like an afterthought in Boston thanks to the team's success in the playoffs. It is extremely rare for a team to still be in the postseason while owning the rights to the top pick in the draft, as I have formerly discussed for CetlcisLife. I really don't know if it has ever happened before -- The closest scenario I can think of is 1986 when the Celtics - who went on to win the championship that year - got the No. 2 pick from Seattle. For a worst case scenario, that is a damn good one. While Lucky the Leprechaun is busy preparing for Wednesday's home game, hopefully he will still remember to bring us some luck in tonight's lottery!